Hope all is well and you have been busy out in your gardens. Me…not so much half of what I already shared with you the other day in my outdoor deck is dead already. I kid you not. Never, ever leave me in charge of your plants is all I can say. Today, I thought I would share 20+ Mod podge on glass projects I have done in the past. I have hunted and gathered a few more on the net that I thought my readers would enjoy. 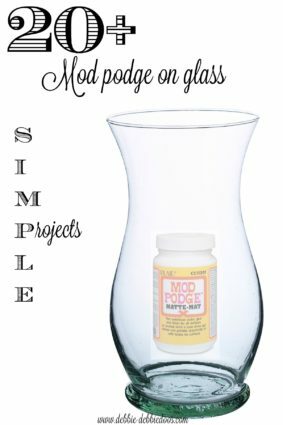 I have a live video tutorial that I shared with my readers on facebook on how to mod podge on glass. I hope you find it helpful. These are all so pretty. I have never modpodged on glass before. Going to check out your video and will try it on one of our craft days! I love having a collection of things on one post. 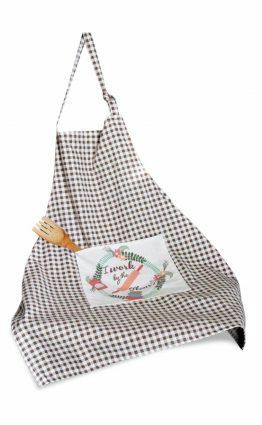 I just pinned this with intention of making gifts and it is so easy to have a choice of projects all together in one place. Thanks! I have the same problems with my plants. Black thumbs. Love all your ideas. Keep them coming!! Debbie, I literally laughed out loud about you killing the flowers! Maybe succulents would do better for you. They all looked so pretty on your patio; but, you also have lots of color and patterns to compensate. Love your mod podge ideas! These are great. I would paint the mod podge on first, then the craft paint. Then go over with the more mod podge and sprinkle the Epsom salt on. Keep in mind this will only be decorative. You can’t wash these vases or have them in a sunny place. You will have a big mess on your hands. Good luck. Hi Debby. I would make a dinner plate with a napkin for our bridgecardclub. have i do mp on de plate first and put the napkin on it then. Ik wil take bridgecards napkins. Ik have to make 100 pieces. I am Dutch. I love this idea I do have a question though I don’t have a home depot anywhere near me is there another glaze we can use?